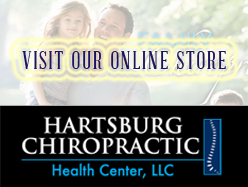 Dr. Matthew Hartsburg is a chiropractor who uses true principals of chiropractic care in Danbury. We are committed to relieving your pain. Contact us today and see for yourself what a difference modern equipment and technology can mean for you and your bodies well being.